Doreen’s extensive financial and management background allows her to provide keen insight to clients in several areas, most notably financial management and tax planning. She brings strong operational focus and business acumen to the team. Clients rely on her excellent communication, analytical, and management skills. Her strengths include policy and procedure creation as well as financial reporting and analysis. Doreen co-founded JDJ Resources in 2001 and held the position of President. 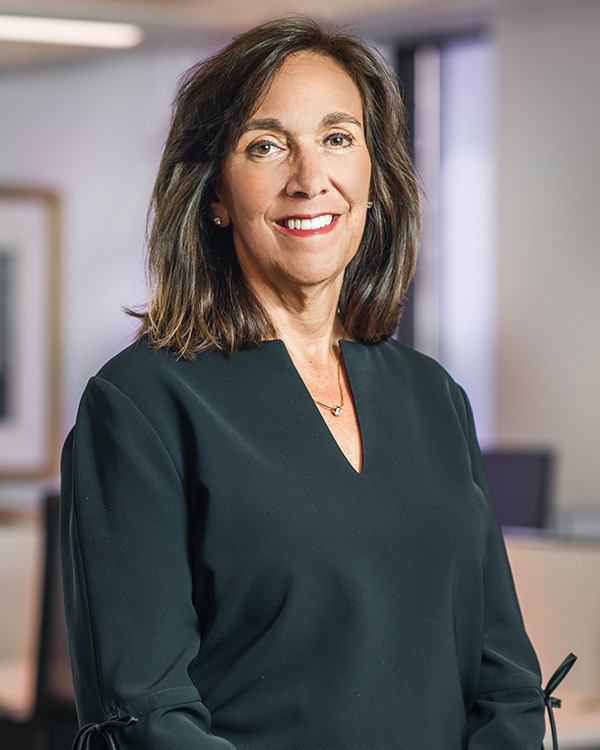 After JDJ’s merger with Rothstein Kass, Doreen was a director in the Rothstein Kass Family Office Group. In 2014, Jamie, Steve and Doreen co-founded JDJ Family Office Services. Previously, Doreen served as CFO for both AEGIS and Aldrich Eastman Waltch (AEW), and Senior Audit Manager for KMPG. Doreen is a Certified Public Accountant. She earned a Master of Business Administration degree from Babson College and a Bachelor of Arts degree in English from Skidmore College.